Steven Myron Holl Foundation and its nonprofit initiative, 'T' Space, are proud to an­nounce their new Architecture Fellowship. 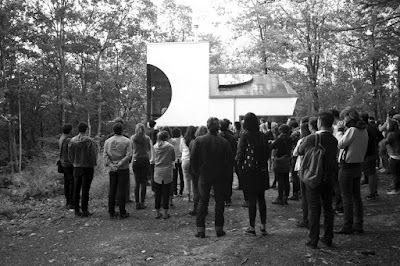 Selected applicants participate in a 25 day intensive studio program while residing at the Fellow's Cabin, scenically located on T2 Reserve, a 30-acre property in Rhinebeck, New York. The fellowship is geared to challenge the participants' ability to think and design critically, while working site-specific to Dutchess County and the Rhinebeck ecology. Using both analog and digital media tools, the studio is complemented by design critiques, pin ups and conversations with instructors, including Steven Holl and invited professionals, as well as field trips in Dutchess County to destinations of acclaimed architectural and artistic interest. A total of 5 undergraduate, graduate, and young professionals will be selected by the review panel to participate based on their portfolio and letter of interest.